A version of this article appeared on April 22, 2016. As kids head back to school, some parents' thoughts turn to how they'll pay for college. Finding the right college-savings vehicle can be daunting. There are many choices, and it can be difficult to discern the differences between each type of account. We've outlined a few salient features of some of the most common college-savings vehicles, including the tax treatment for each, how much you can contribute, who can contribute, the rules governing distributions, and a summary of the types of individuals who will tend to benefit most from each investment vehicle. Tax Treatment: Contributions not deductible on federal income tax. Contributions may receive a state tax break (either a deduction or a credit). Money compounds on a tax-free basis and withdrawals to pay for qualified college expenses are tax-free, too. Tax Benefit: Possible state tax break; tax-free compounding; tax-free withdrawals. Contributions treated as completed gifts; apply $14,000 annual gift-tax exclusion (per person, so $28,000 per married couple) or up to $70,000 ($140,000 per married couple) with five-year election (click here to read the IRS rules on this). Contribution Limit: Per IRS guidelines, lifetime contributions cannot exceed the amount necessary to provide education for beneficiary. What this actually means varies widely by state and by plan--anywhere from $235,000 to over $500,000 for non-prepaid tuition plans. Deduction amounts vary by state, and gift tax may apply to very high contribution amounts. 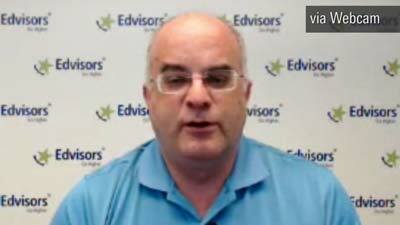 College-planning expert Mark Kantrowitz outlines changes to the data used for filling out the FAFSA, common mistakes people make, the impact of rising interest rates on student loans, and more. Withdrawal Flexibility: Medium. Investors can withdraw contributions at any time without taxes or penalty. Withdrawals of investment earnings must be used for qualified college expenditures or will incur taxes and a 10% penalty. Those withdrawing funds for noncollege expenses may also be required to pay back any state tax deduction they've received on contributions. They can, however, change the beneficiary of a plan, as long as the new beneficiary is a family member of the former beneficiary. Investment Flexibility: Low. Investors in 529 plans must choose their investments from a preset menu offered by the plan. Pros: High allowable contribution amounts, state tax breaks on contributions, and tax-free compounding and withdrawals. The plans reduce the financial-aid impact compared with money held in the student's name. Cons: States may impose an extra layer of administrative costs, and investment choices may be costly and/or subpar. Best for: Individuals who are aiming to stash a significant sum for college while also enjoying tax benefits. Tax Treatment: Contributions not deductible on federal or state income tax. Money compounds on a tax-free basis, and withdrawals to pay for qualified educational expenses are tax-free, too. Contributions don't have to be made with earned income, meaning grandparents can contribute even if parents are ineligible due to income limits. Tax Benefit: Tax-free compounding; tax-free withdrawals for qualified educational expenses. Income Limit: For 2017, single income tax filers with modified adjusted gross incomes of more than $110,000 and married couples filing jointly with incomes greater than $220,000 cannot make contributions to a Coverdell. Withdrawal Flexibility: Medium. Withdrawals of contributions are tax- and penalty-free. And in contrast with 529 assets, in which withdrawals will incur taxes and a penalty unless used for qualified college expenses, Coverdell assets may be used for elementary and high school expenses, too. You can also change the beneficiary of a plan, as long as the new beneficiary is a family member of the former beneficiary. Investment Flexibility: Medium. Coverdell ESA investors can, in theory, invest in a broad swath of assets, but fewer and fewer investment providers offer the accounts. Required Distributions: Funds must generally be distributed from an account by the time the student reaches age 30, though they may be rolled over into a Coverdell ESA for another eligible family member. Pros: Ability to use funds for elementary and high school expenses; flexibility to invest in a broad variety of securities, including mutual funds and individual stocks. Cons: Limited contribution amounts and lower modified adjusted gross income thresholds; investment providers may not offer this account type. Best for: Individuals aiming to invest relatively smaller sums for education--including elementary, high school, and college--who are seeking more investment flexibility than 529s afford. Tax Treatment: Aftertax contributions. Earnings and gains taxed to minor; for children under age 19 and full-time students under age 24 (whose unearned income does not provide half their support), first $1,050 of unearned income is tax-exempt, the next $1,050 is taxed at the child's rate, and over $2,100 is taxed at parents' rate. Tax Benefit: First $2,100 of earnings and gains subject to lower tax rates. Transfers treated as completed gifts; apply $14,000 annual gift tax exclusion. Contribution Limit: None. Gift tax may apply to contribution amounts above $14,000 per child for single filers; $28,000 for married couples. Withdrawal Flexibility: Greater. There is no penalty for using assets to pay for noneducational expenses, regardless of the child's age. However, even though custodian retains control of assets until beneficiary reaches 18 or 21 (depending on the state and type of account), the assets may be used only for the child's benefit (that is, not to cover basic parental obligations such as food and shelter). When the minor in whose name the UGMA/UTMA account is established reaches age of termination, he or she assumes control of all the assets. Investment Flexibility: Greater. UGMA/UTMA investors can invest in a broad swath of assets. Required Distributions: Minor takes custodial ownership of assets at age of termination (18-21)--varies by state and account type. Pros: No penalty for not using earnings for educational expenses; can be used for any purpose that benefits beneficiary. Cons: Counted as student's assets, heavier impact on financial aid eligibility. Cannot transfer beneficiary. Contributions are irrevocable. At age of majority, beneficiary is entitled to account assets. Best for: Individuals who may not attend college. Tax Treatment: Aftertax contributions; tax-free compounding and withdrawals after five years, at age 59 1/2. Tax Benefit: Tax-free compounding and withdrawals. Contribution Limit: $5,500 (under 50); $6,500 (over 50). Income Limit: Single filers with modified adjusted gross incomes below $133,000 can make at least a partial contribution for 2017. Married couples filing jointly can make at least a partial contribution if their modified adjusted gross incomes are less than $196,000. Investors of all income level can contribute to a Roth with the "backdoor" maneuver. Withdrawal Flexibility: Medium. Roth IRA contributions can be withdrawn tax-free for any purpose. And while you'll typically face taxes and a 10% early withdrawal penalty if you take out investment earnings from your Roth before age 59 1/2, the 10% penalty usually assessed for early withdrawals from an IRA is waived if funds are used to pay for college tuition, books, fees, and other qualified expenses. Investment Flexibility: High. Most investment types can be held inside an IRA, with a few exceptions. Pros: Investors can choose low-cost and best-of-breed investments with limited administrative costs. For financial aid: not counted as asset in need-based calculations. Money not spent on college can be used for retirement instead. Cons: Limited contribution amounts. If you are depending on the Roth IRA to help fund your retirement you may be depriving yourself of years of tax-free growth and distributions by removing funds from the account to pay for college. For financial aid: Distributions taken from Roth IRA (even if contributions only) are counted as income the year after they are taken. Best for: Savers aiming to invest relatively smaller sums and who desire more flexibility in terms of investment options and use of assets (can be used to pay for college and to fund retirement).